A free session. Clock hours available for only $5. 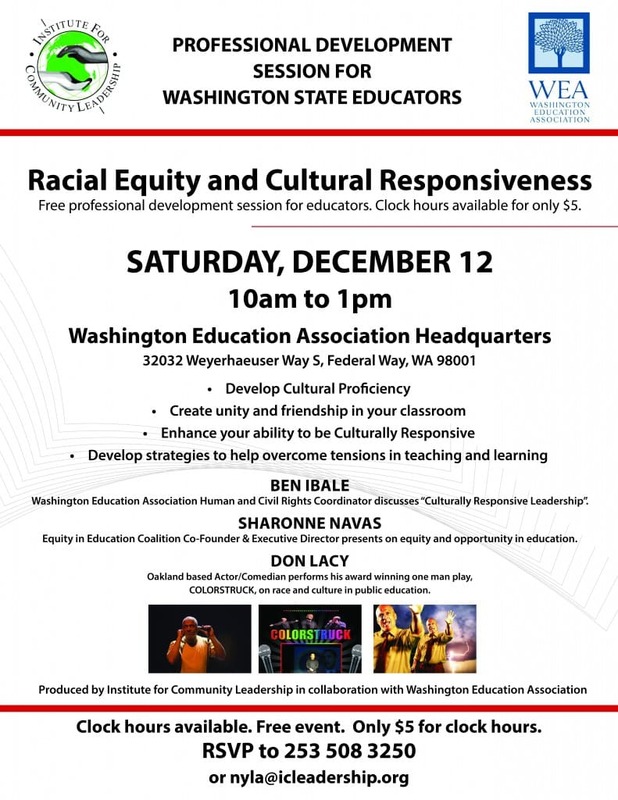 BEN IBALE, Washington Education Association Human and Civil Rights Coordinator discusses teaching equity and closing the academic achievement gap in education. DON LACY, Oakland based Actor/Comedian performs his award winning one man play, COLORSTRUCK, on race and culture in public education. “Electrifying, entertaining… Don Lacy’s performance will make you laugh, think and cry” Elihu Harris, former Mayor. Clock hours available. No cost for event. $5 for clock hours.